Are you looking to join our team at Bimmer Rescue? You are in the right place. Our auto repair is located in Richmond but is conveniently located near Short Pump, The West End, and the Fan District. If you are looking to join our team as an expert auto mechanic or service advisor, we want to hear from you. Why would I want to work at Bimmer Rescue? At Bimmer Rescue, we understand that today’s modern vehicles are rolling computer networks that just happen to have wheels and seats. This means nearly half of our work as auto technicians involves computer technology; you are not a parts changer, you are a modern technician. Bimmer Rescue is equipped with the latest and greatest tools and technology. We strive to maintain a warm, personable, and family-friendly atmosphere. Plus, we have a great customer base that brings in plenty of modern vehicles, and we actively listen to employee feedback on ways our operation can improve. A better question is: Why wouldn’t you want to work here? What does it take to become a Bimmer Rescue auto mechanic? 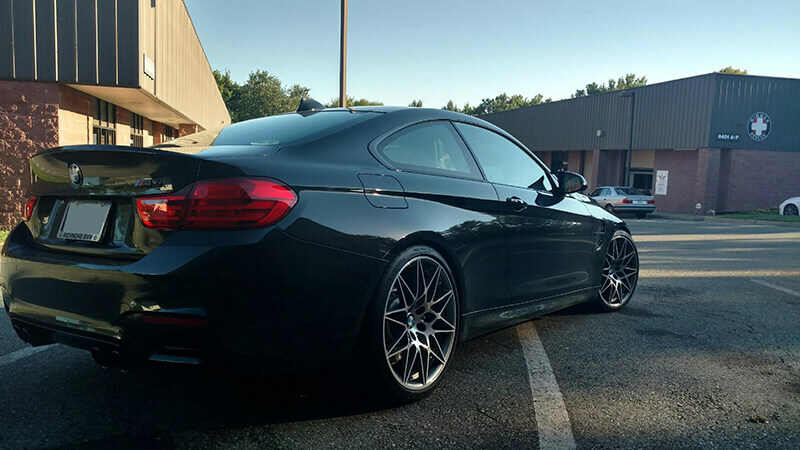 At Bimmer Rescue in Richmond, we’re always on the lookout for A+ factory-trained and certified master mechanics that specialize in the service and repair of European vehicles such as Audi, BMW, and MINI. You need to be a hard worker. You need to be familiar with the cars we work on. You need to have a hard-driving passion for producing quality work at a rapid pace. Our team works hard and plays hard together. We’ve created a work environment where we support each other and truly enjoy each other’s company. If our way of doing things resonates with you, we’d love to talk with you further. What kind of benefits does Bimmer Rescue provide? Great pay, health benefits, dental insurance, long-term disability, paid vacation, paid holidays, etc. A clean, modern well-lit, climate-controlled working environment. Factory-level diagnostic and aftermarket tools better than those at dealerships. A great customer base that trusts us with their modern European vehicles. We enjoy each other’s company and we actively listen to team feedback on ways to improve our processes. What makes Bimmer Rescue an excellent place to work? Bimmer Rescue is more than just an excellent place to work. Take a closer look at our website. You’ll see that we’re moving the industry forward through community automotive education and awareness programs for women, the Girl Scouts of the United States of America, and the Boy Scouts of America. Our Brakes for Breasts contributions to fight breast cancer and other community outreach efforts. We also host art shows for local artists.